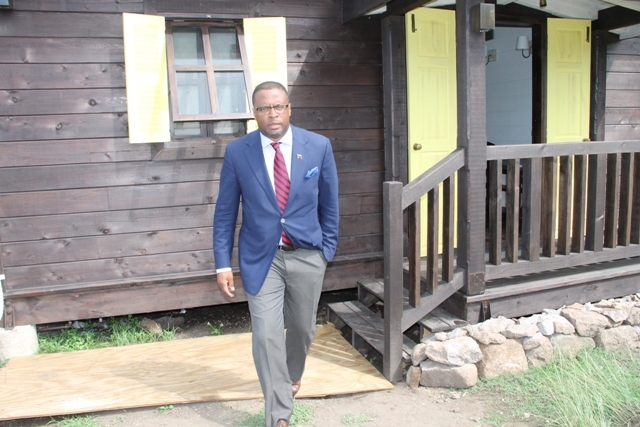 NIA CHARLESTOWN NEVIS (SEPTEMBER 28, 2015) — Deputy Premier and Minister of Tourism Hon. 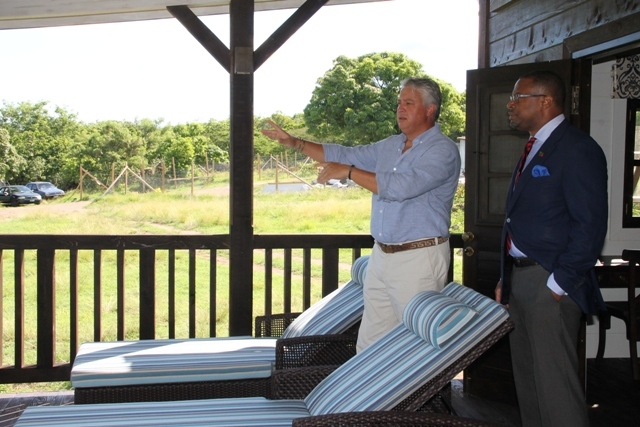 Mark Brantley expressed satisfaction with the progress of the 38 acre-218 room full service resort at Paradise Estate, a development driven by the Citizen by Investment (CBI) programme. Mr. Brantley was at the time on an invited tour of Paradise Palms on September 23, 2015, 10 months after ground was officially broken to commence construction. “I am very pleased to see what we are seeing here and I am very happy that you have invited us to come back so that the Nevisian public can get a sense of what is happening here on this project, 10 months on. “We have here a one bedroom completed unit. I like the fact that it is very modern but at the same time, it is all done from renewable material: wood and wood products. For us it also ties in to our vision of Nevis which is being green, being sustainable and for us that is very important,” he said. 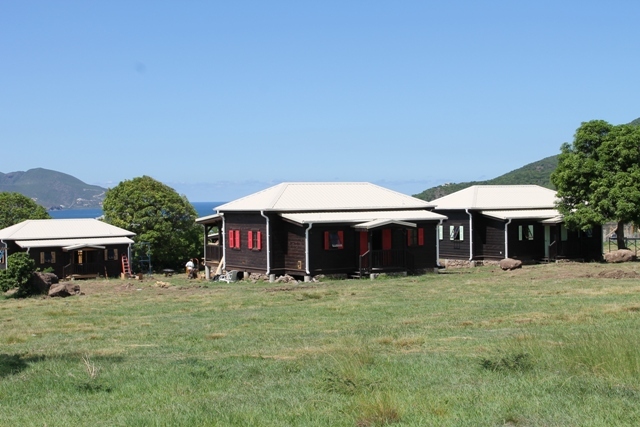 The Tourism Minister expressed hope that sales for the property are going well and that ultimately, on completion of the project, the units would be available for rental and therefore add room stock to the island’s tourism product. Mr. Brantley also spoke to the quality of the product and noted, it was the type of luxury tourism officials are seeking for the island. He also said he hoped other invitations to tour the project as it progresses would be extended to him, in an effort to show the Nevisian public the level of development that was ongoing on the island and the number of persons that are employed there. Meantime, Paradise Palms General Manager Jason Molle who led Mr. Brantley on the tour of the first completed unit, explained the company was pleased to show the Minister the progress made on the project so far. He noted that they already had one buyer and are in the process of showcasing the project to customers around the world. He noted that with the team of near 20 workers, construction of Phase 1 is on schedule the completion of four units and their expectation is to keep pushing ahead in the hope of occupancy by the spring of 2016.